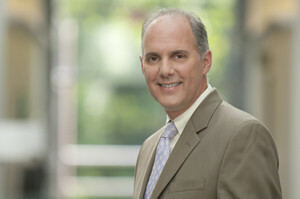 Paul Heller is a Senior Fellow with the Center for High Impact Philanthropy. Paul spent 31 years at Vanguard, including the past ten years as a Managing Director, and member of the senior leadership team. Most recently, Paul led Vanguard’s Individual business, overseeing the efforts of 6,000 Vanguard employees with responsibility for serving seven million clients with $1.5 trillion in assets. Prior to that role, Paul led Vanguard’s Information Technology Division as the firm’s Chief Information Officer. In addition to his senior leadership, business and IT roles, Paul sponsored many of Vanguard’s philanthropic efforts over the course of his career, including overseeing Vanguard’s efforts with the United Way and other nonprofit organizations. For the past year, he led Vanguard’s philanthropic strategy team. Paul has served on Vanguard’s Foundation Board, and has been involved with Vanguard Charitable, which has granted over $5 billion since it’s inception in 1997. He’s been active with numerous nonprofits over the years in a number of capacities, including Bryn Mawr Rehab, Paradise Farms, and the United Way. He currently serves on the board of the Mental Health Association of Southeastern Pennsylvania.